Inside front cover ad is for the NBC show, Surface, don’t worry, no one watched it. 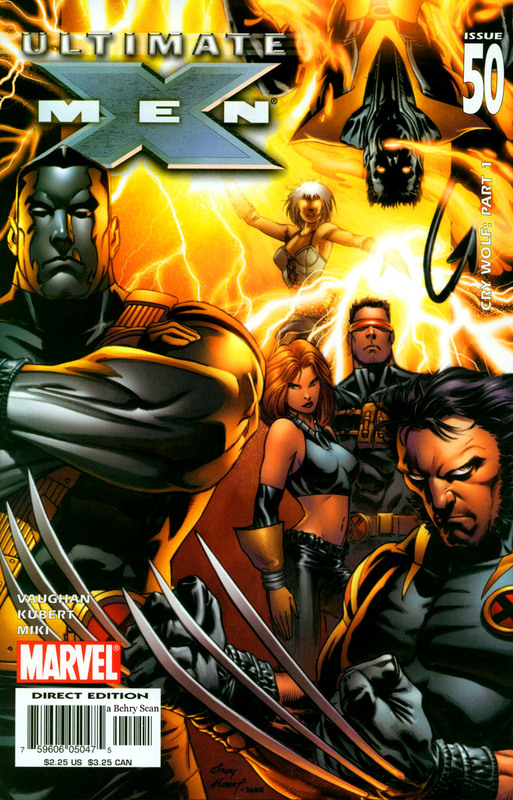 Issue opens with Spider-Man’s Sinister Six versus the X-Men – Iceman, Nightcrawler, Colossus, Storm, Wolverine, Dazzler, Jean Grey, Cyclops and Shadowcat. 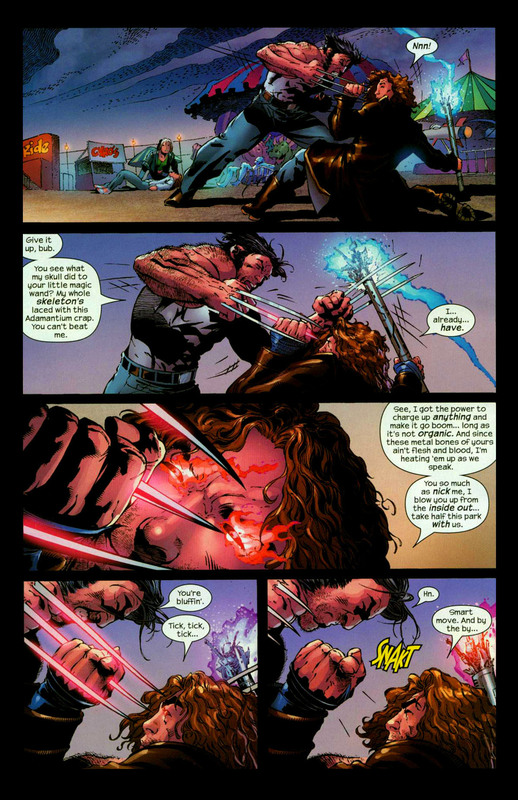 Wolverine is complaining about who writes the bad dialogue for the Danger Room opponents. Turns out, it is Storm. 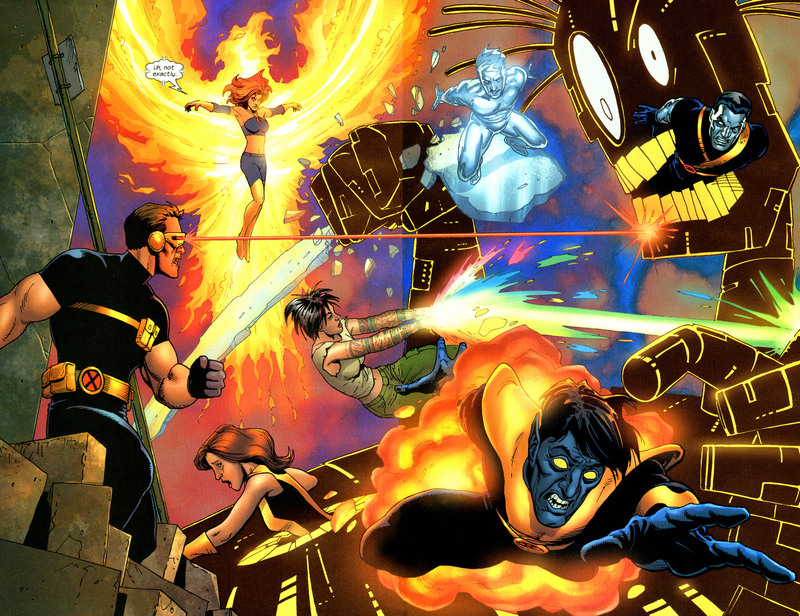 It was Kitty’s idea to have the X-Men practice against other opponents who are not mutants. Iceman believes Kitty chose the Sinister Six so that she can tell Spider-Man that she fought his foes. 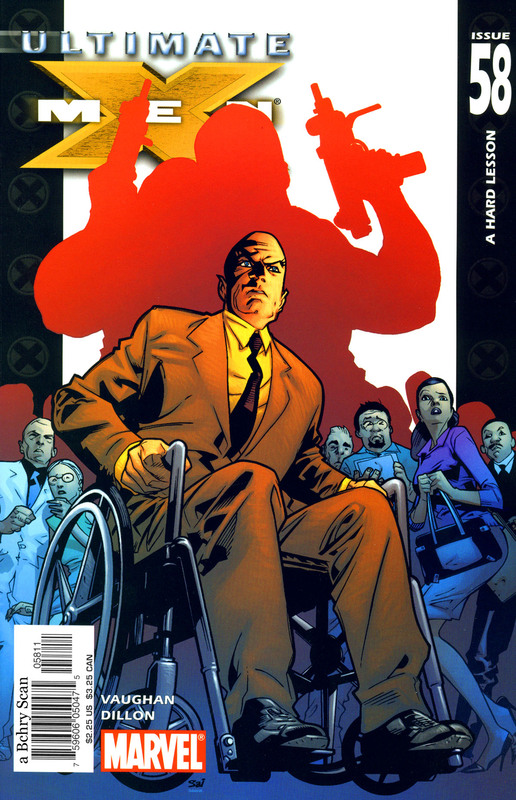 This issue came out the very next month after the Ultimate Spider-Man Annual. Kitty wants Bobby to shut up and is about to make fun of him, as all he does in the Danger Room is to simulate dates with … and Bobby rushes over to shut her up. Such a sad sad boy, Iceman is. Angel and Xavier are watching from the control room. 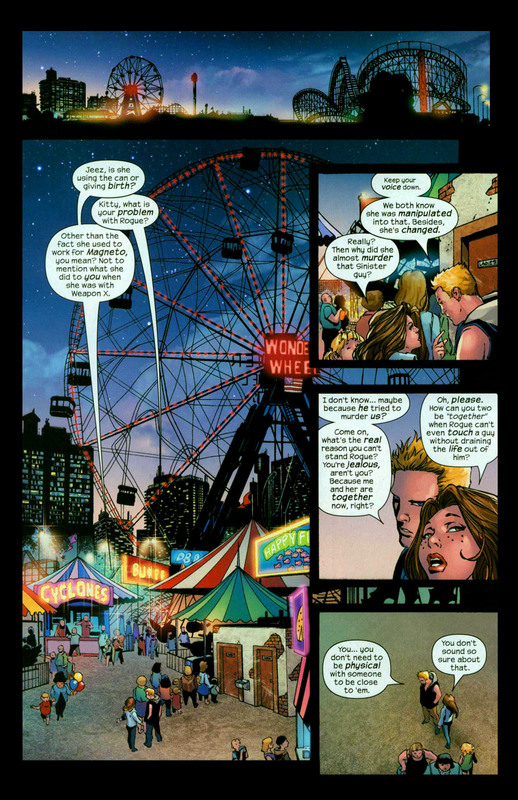 Angel is still recovering from injuries he suffered when they went to Krakoa, which in the Ultimate Universe, as where Mojo hosted his mutant hunting / greatest game television show. Xavier gets a call from Fury. 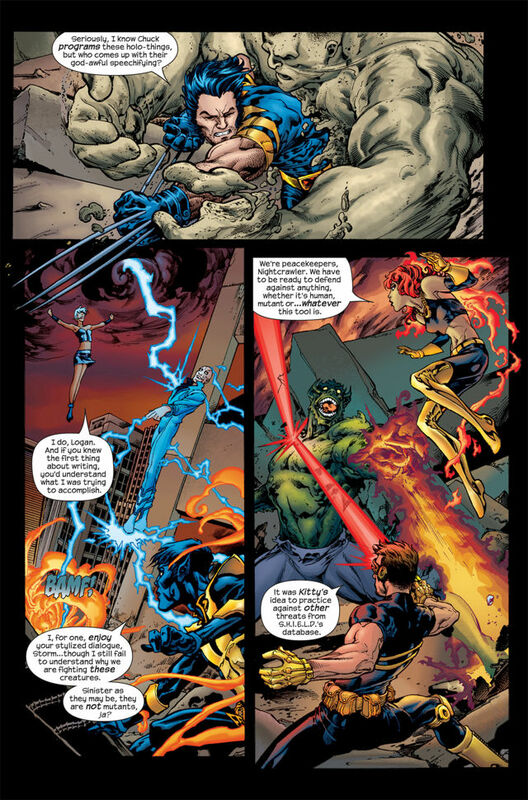 Fury was opening to use Rogue to recapture a mutant she has experience with. Xavier has to break the news that Rogue is no longer at the school, which doesn’t please Fury. 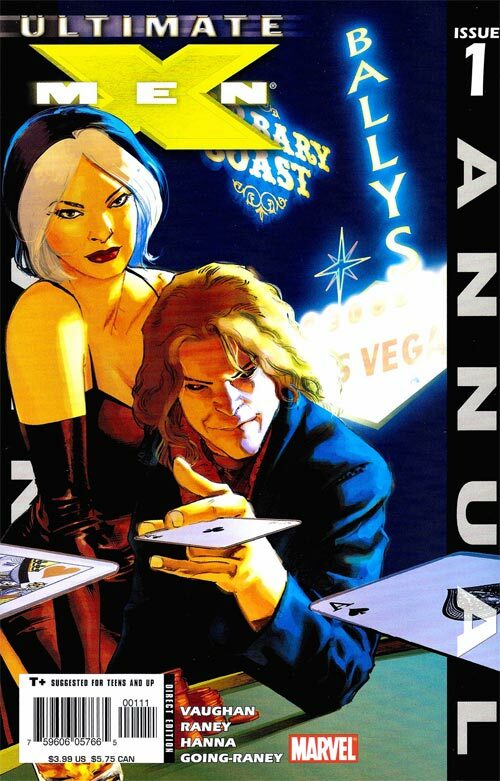 Rogue and Gambit are in Vegas! They are stealing from Fenris, who tried to use them as their main operatives and then they betrayed Gambit by trying to get Rogue to kill him. They steal the Gem of Cyttorak, so we should know the villain of the issue is. Gambit and Rogue regroup, Rogue makes a joke about slipping into something less comfortable. Which makes sense that she would think that a dress is less comfortable than skin tight outfits. Once they get outside, they run into Ultimate Juggernaut, whose main character design is that he wears a giant helmet with a red visor that reminds me of KITT from Knight Rider. 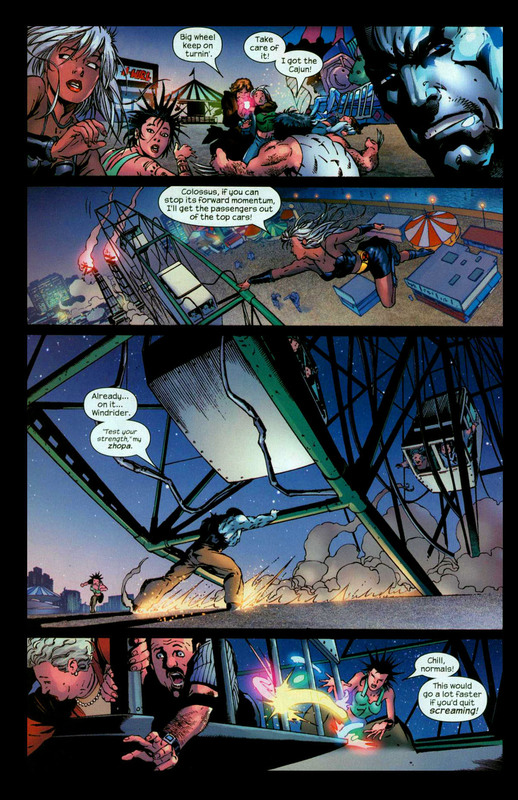 Turns out, he can use the visor to track all Weapon X operatives, both current and former. Which he, Rogue and Nightcrawler were all part of that program in this universe. At first, she thinks Juggernaut is here on behalf of Fenris but he doesn’t know who that is. Next, she thinks she is there for revenge on behalf of Magneto. Turns out, he is there as he loves Rogue. They were cellmates at the Weapon X facility. Juggernaut fights Gambit, which makes Rogue mad. She absorbs some of Juggernaut’s strength and now she is quasi-unstoppable and they start tearing up the strip. Gambit gets back on his feet and charges up the gem, as his cards have no effect on Juggernaut. There is an ad for The Exorcism of Emily Rose, based on the only case of exorcisms to be brought to the legal world, but the film doesn’t really go into any of that. It is such a bad movie. I haven’t watched any of these modern exorcism films since. So the charged gem hits Juggernaut, and makes him even more unstoppable. Juggernaut starts throwing cars. Gambit doesn’t stand a chance against him. 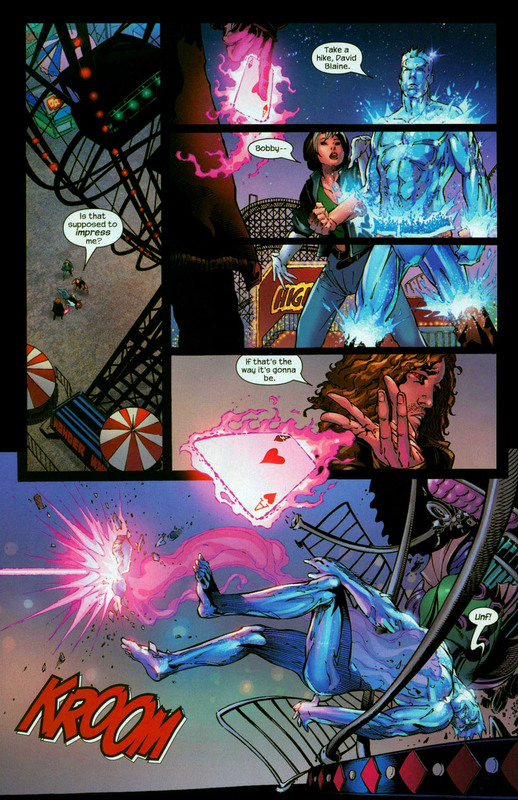 Gambit throws a bunch of cards and destroys a near by construction site and all the debris falls on the two guys. This issue has the death of both Juggernaut and Gambit. 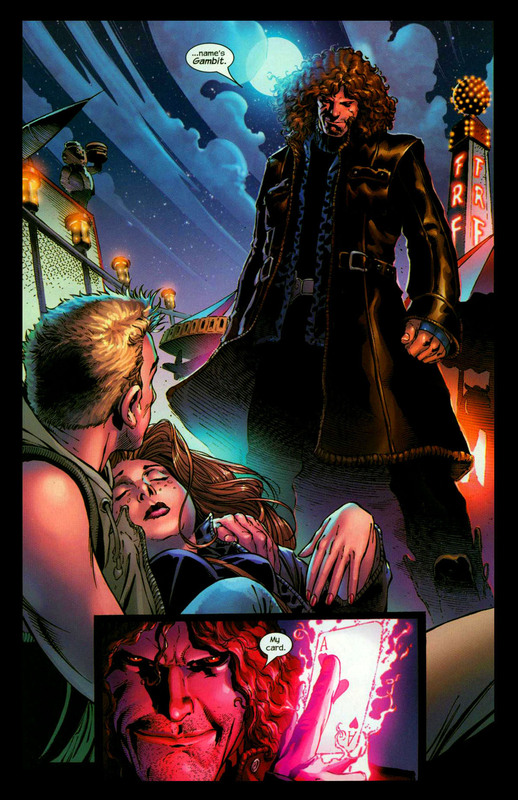 Gambit’s dying request is to have one final kiss with Rogue, which she gives him. Three Days Later. Iceman is making weird Rogue ice sculptures, which is like crazy obsess. 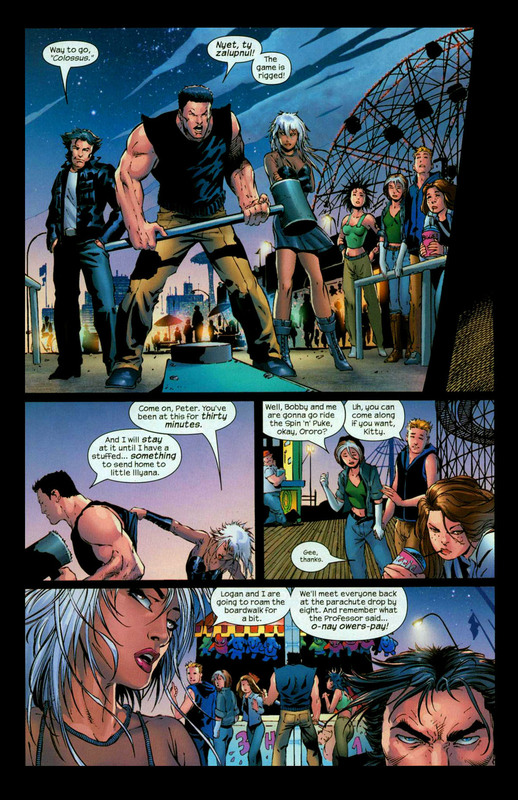 Rogue gives him a call and tells him that she is scared and doesn’t know what to do. Bobby is concern as she sounds weird on the phone. She hangs up. 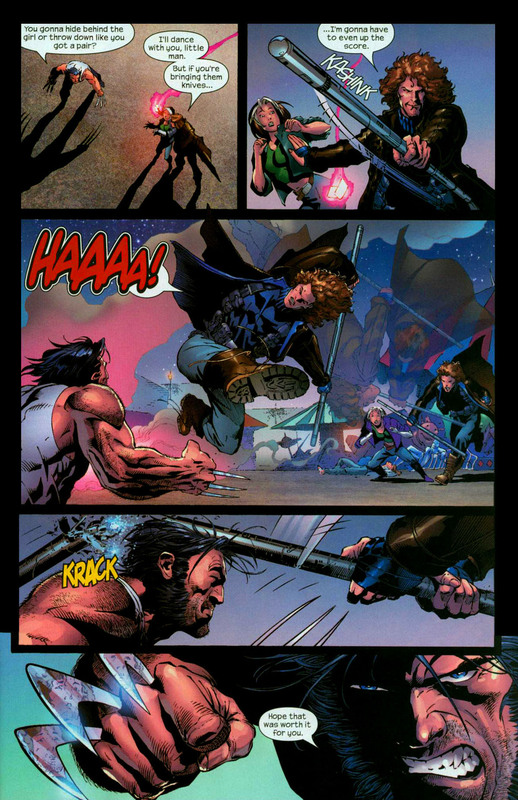 Issue ends with a splash page of Rogue, who has Gambit’s red eyes and the ability to charge objects. His power replaces hers for a year, until the next annual. Which is nice for Rogue as she can touch people finally during that span of time.